The best gifts to offer to women are needless to say something that looks attractive but yet useful to them. 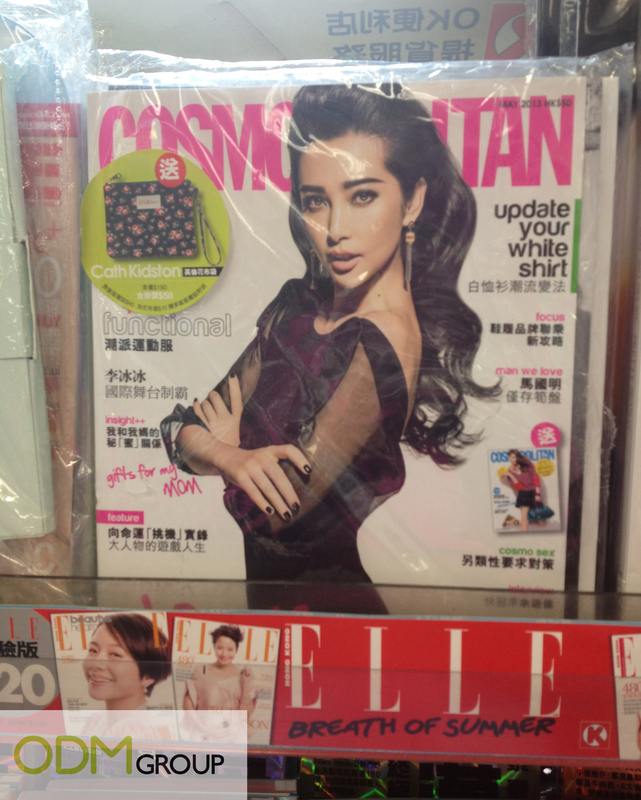 Cosmopolitan is now offering this pretty cover mount gift pouches to customers with any purchase of their magazine. Hurry down and grab yours now at any Circle K store found in Hong Kong before it runs of stock! Cath Kidston, a very popular brand worldwide, is well known for their flowery printed designs. Their designed bags, pouches and etc., are very hot selling especially among the young teens. How would cover mount gift boost sales? Cosmopolitan offers cover mount gift to attract people to purchase their magazines. They targeted their promotional gift at the women, who is their main audience for the magazines. 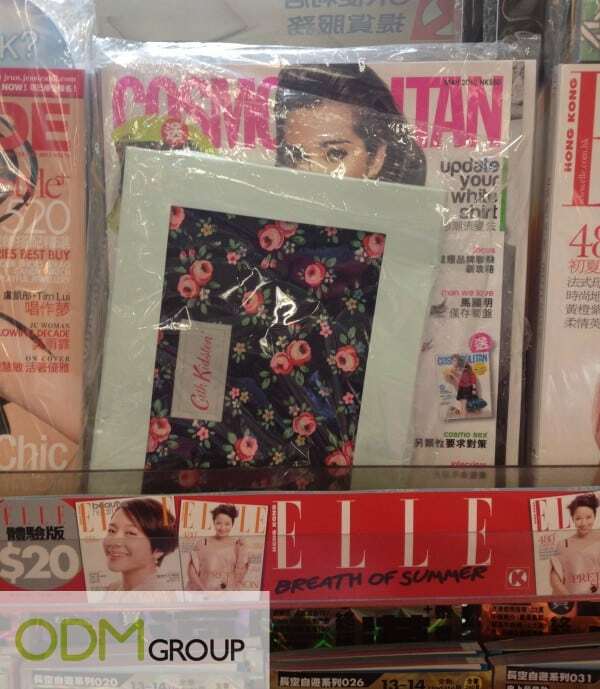 With such pretty pouch offered as free gift to readers, who wouldn’t be tempted to buy Cosmopolitan’s magazines? These cover mount gifts could help attract sales and thus boosting profits for your company! Bear in mind to offer gifts that suit your target audience to help achieve your marketing aim: To boost sales. Since Cosmopolitan magazines’ target readers are the women, they have decided to offer something that women would need in their everyday life. Collaborated with Cath Kidston to offer their pouches to readers as cover mount gift, it would be able to act as incentive for readers to purchase their magazine. Since Cath Kidston pouches are branded with their name, readers would naturally feel that it is very worth it since they would be able to receive branded goods as free gifts. So why not? Take a look at what promotions other magazine companies have offered and be sure to outrace them!